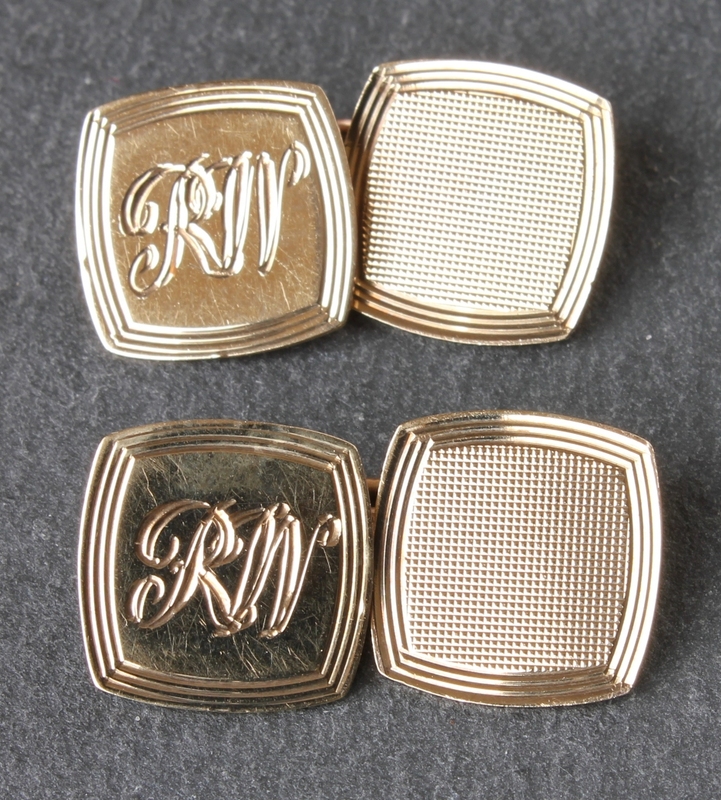 Vintage 1960's 9ct Gold Square Cufflinks Engraved Initials R W. 1968. 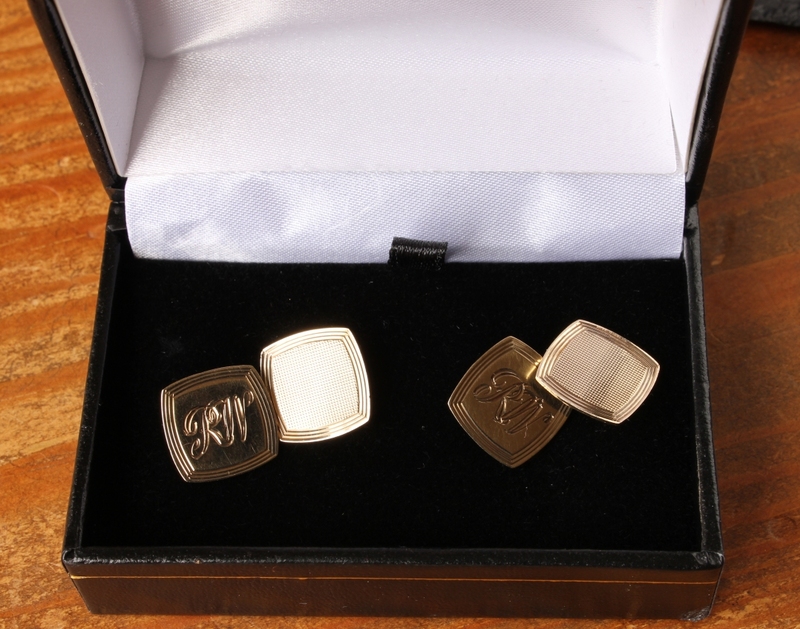 These stylish vintage cufflinks are crafted in 9ct yellow gold and have square cushion-shape panels with connecting chain. 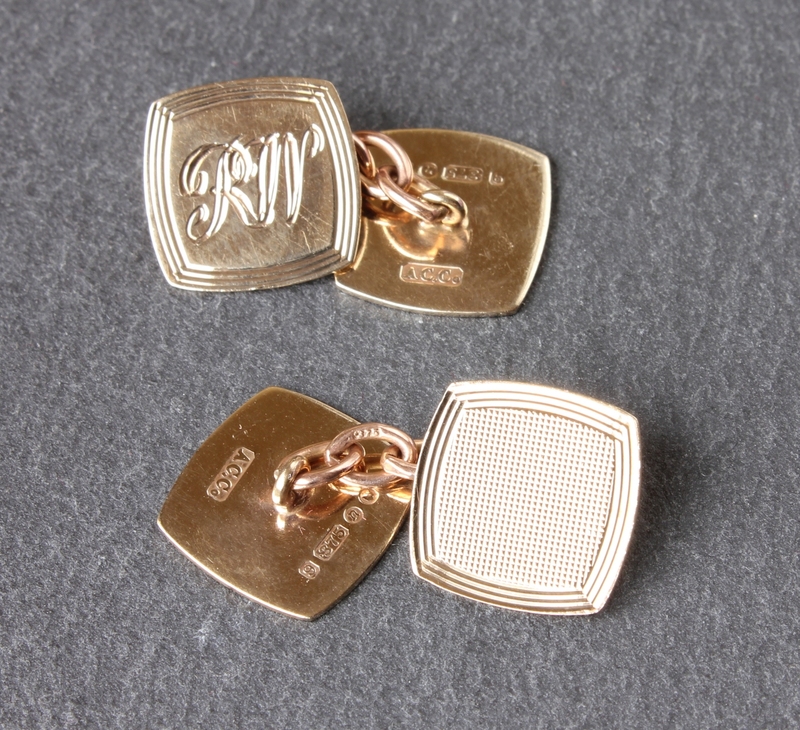 They are fully hallmarked dating from 1968 and are engraved on one panel of each pair with RW. Would make a wonderful gift. 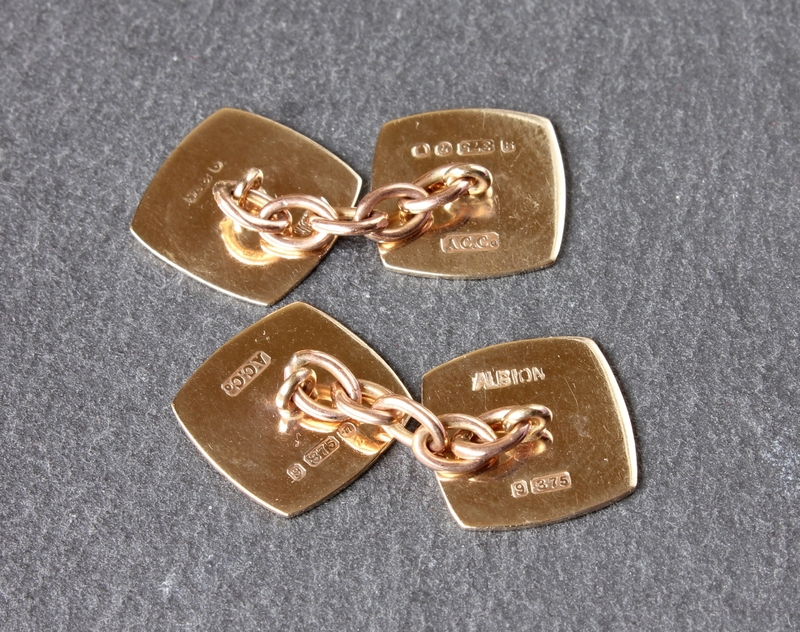 Hallmarked: 375 for 9 carat gold. London and date 1968. 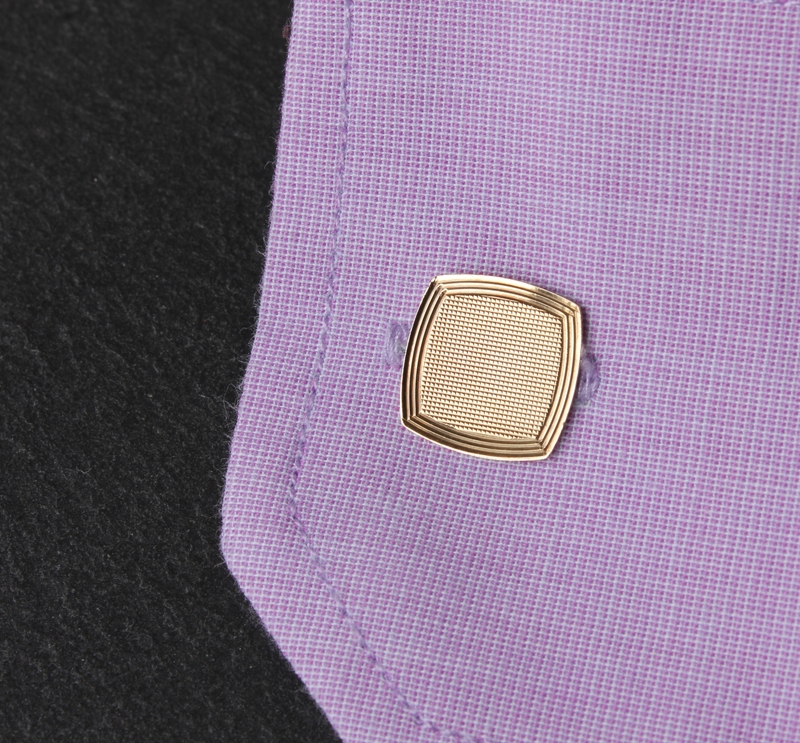 Length of cufflink faces: 1.3 cms. Good used vintage condition. Some surface scratches and signs of use in keeping with age. 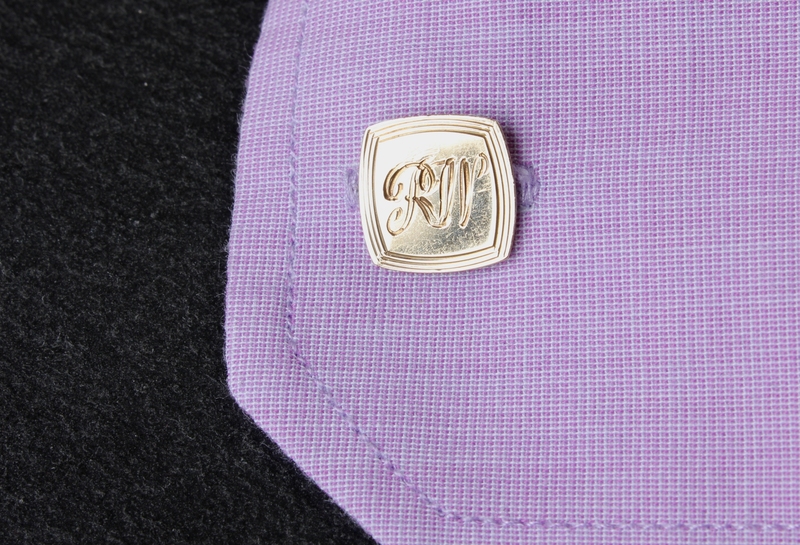 Professionally cleaned and ready to enjoy. Please see pictures. Comes in a box. Allow 1 - 2 working days for delivery. Express delivery can be arranged.